Stay tuned with SATISFACTORY latest news and opportunities! The SatisFactory Project consortium joined its efforts to create an industrial working environment able to attract a new generation of workers and to facilitate the transition of the current generation from the traditional industrial environments to the Factories of the Future. 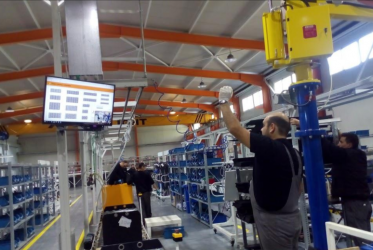 Increased safety, improvement of the working conditions, use of cutting edge technology in direct communication, encouragement of the workers to propose changes, advanced decision support, as well as high motivation by means of gamified procedures are just some of the achieved goals of the project, which concluded in having a positive effect to the concept of Industry 4.0. The innovative products and software developed by SatisFactory Project partners were deployed and piloted in Italy and Greece. Read the press release dedicated to the pilot deployment in SUNLIGHT. Towards the end of the project, on the 15th of December 2017, the SatisFactory Project Final Workshop was organised in order to present the latest achievements of the project to selected stakeholders and stimulate networking and synergies, with a view to enabling the continuous dissemination and exploitation of the project’s results after the end of the project. In particular, the scope of the SatisFactory Project Final Workshop was to showcase the project’s final achievements to representatives of similar initiatives and selected experts in the field, in order to collect valuable feedback and suggestions for future improvements, by means of tangible demonstrations of the SatisFactory solutions, as deployed in the industrial environment of COMAU S.p.A. 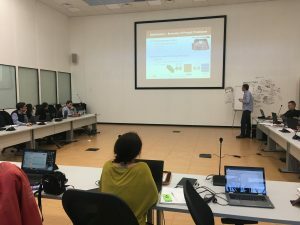 The first part of the Workshop included an overview of the SatisFactory project, presentations of other similar H2020 initiatives that share the same goals and aspirations for human-centric technologies, as well as a presentation about EFFRA and the ConnectedFactories CSA. The second part was dedicated to live demonstrations of the SatisFactory applications deployed in COMAU S.p.A. 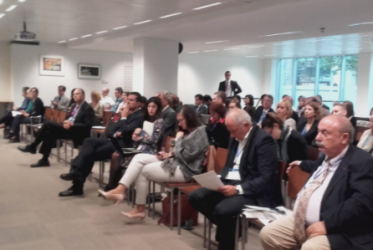 The Workshop was attended by members of the SatisFactory End-Users Advisory Group, as well as representatives of EFFRA and of similar H2020 projects (Factory2Fit, A4BLUE, FACTS4WORKERS, MANUWORK), who in the end were also asked to provide their valuable feedback, not only on the presented technologies and the expected benefits, but also on the exploitation and commercialization perspectives of these solutions. 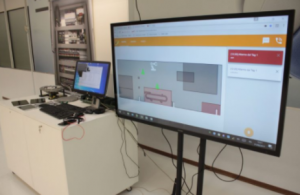 The received feedback shows that the demonstrated solutions were well received for their capability to support on-the-job training, knowledge sharing, tasks’ performance and incident detection, while their main added value was considered to be the unique combination of the integrated technologies. Various ideas were also expressed for the business models that could be potentially applicable for their commercial exploitation. 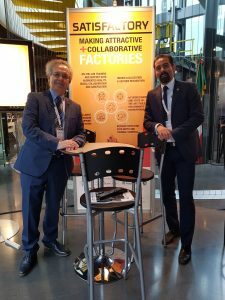 In the 5th World Manufacturing Forum held in Monterrey, Nuevo León, Mexico from November 7th to 9th 2017, at the Industrial Heritage Site “Horno 3 – Parque Fundidora”, SatisFactory project had a very active participation with a presentation by Prof. Dimitris Kiritsis about “Transforming Traditional Industrial Environments using Cutting-edge Technologies” during the session “Technology Trends for the Factories of the Future”. 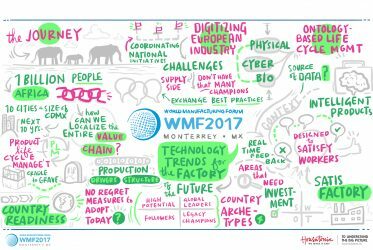 In addition, within the dedicated SatisFactory booth at the WMF2017 Expo, more than 450 participants were able to be informed about the achievements of the project on contributing to make new digital technologies, such as smart sensors and augmented reality, more appealing to workers, as their workplace transforms itself into a more digital one. The presence of SatisFactory project was very well received, as it helped to convey and promote the message on the importance of equipping the workforce of today and the near-future with digital skills that enable them to achieve new levels of productivity, boosted by the innovative use of the so called Industry 4.0 technologies at their daily jobs. For more information on the event, please visit www.worldmanufacturingforum.org. New SatisFactory promo video with demo material! SatisFactory has recently launched a new promo video explaining the achievements of the project and demonstrating its innovative solutions for smart factories. Learn what benefits Satisfactory can bring to your factory! The Maintenance Forum is a top annual event for the maintenance and asset management domain in Greece. 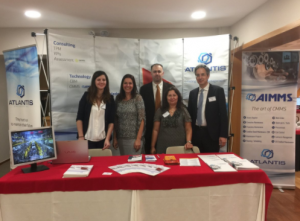 After the successful Euromaintenance 2016 in Athens, the momentum was high for the Maintenance Forum 2017, held in Athens on 18-19 October, attracting more than 200 representatives and managers of technical departments from a variety of companies, mainly with headquarters in Greece. This year, on top of the workshops, the conference and the networking, a pitch session was added, in order to showcase promising projects and results with applications in the maintenance domain, promoting collaboration between research/academic institutions and private companies. 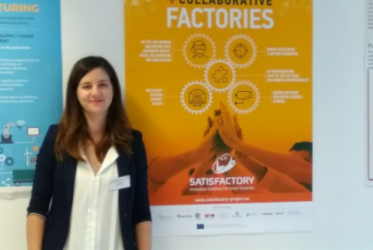 In this context, SatisFactory was presented as an innovative European project aiming to transform traditional industrial environments into the factories of the future which will be highly productive, safe, and appealing to the workers, integrating the most cutting-edge technologies, so as to boost performance, achieve higher productivity, better risk control and improved workers’ satisfaction and collaboration. 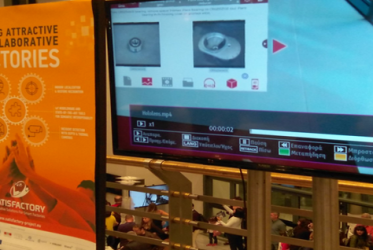 Special interest was expressed for the solutions for real-time detection of incidents on the shop floor level. It was received as of important value in an ever-changing environment and especially for companies that consider health & safety, as well as human resources’ wellbeing of high priority. Check more about the event at http://www.maintenance-forum.gr. The European Digital Learning Network, DLEARN, aims to embrace the challenges brought by the digital transformation in terms of digital skills mismatch and digital learning opportunities. The 47% of Europeans is not properly digitally skilled, yet in the near future 90% of jobs will require some level of digital skills. Tools and technologies such as Augmented and Virtual reality among others, are becoming more and more popular as complementary methods for education and training, as well as digital competencies. Their efficiency has led to a growing and attractive return on investment rate. 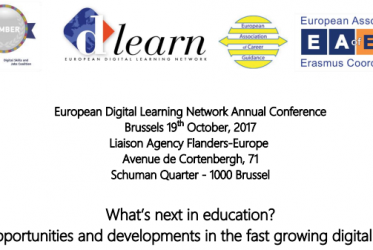 In this context, the project took part in a special workshop session at the DLEARN Conference held on October 19, 2017, in Brussels, dedicated to presenting success stories and lessons learnt from different sectors. SatisFactory was presented as “Best practices for use of Augmented Reality (AR) tools in vocational and on-the-job training”. The advantage of AR tools is that they are an effective solution for the older and younger generations on the shop floor. They do not require special digital skills, hence they are suitable for the Generation X workforce, as well as remaining Baby boomers. Moreover, they offer an attractive layout and the ability to create and operate in a digital, user friendly environment that Genaration Y (millennials) is accustomed to and Generation Z has been born in. 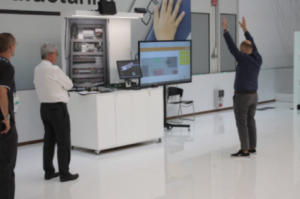 This flexibility and the replicability in multiple business sectors caught the attention of the 80 participants, which were decision makers in matters of digital training and digital transformation from all over Europe.  The European Digital Learning Network – DLEARN – aims to embrace the challenges brought by the digital transformation in terms of digital skills mismatch and digital learning opportunities. The 47% of Europeans is not properly digitally skilled, yet in the near future 90% of jobs will require some level of digital skills. Tools and technologies such as Augmented and Virtual realities among others, are becoming more and more popular as complementary methods for education and training, as well as digital competencies. Their efficiency has led to a growing and attractive return on investment rate. In this context, the European Digital Learning Network Annual Conference incorporates a dedicated session for presenting success stories and lessons learnt from different sectors, where SatisFactory project will be presented, and especially its “Best practices for use of Augmented Reality tools in vocational and on-the-job training”. Τhe “2017 Researcher’s Night” held in Thessaloniki, Greece, was organised by CERTH and took place on September 29 at the city’s Music Hall. 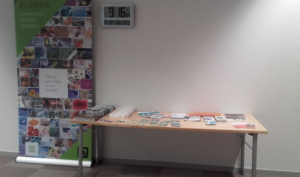 Lots of researchers participated and a great number of people of all ages attended the event. The Researchers Night is a European initiative held every year in 300 cities, aiming to bring researchers closer to the society. The event includes multiple presentations, interactive experiments, activities for children, music, contests and more. This year, the project coordinator, namely CERTH/ITI, demonstrated SatisFactory’s achievements, and especially the on-the-job training technologies with Augmented Reality, using the see-through head-mounted displays. In the framework of the event, Mr. Dimosthenis Ioannidis, researcher and project’s coordinator representative, talked to Deutsche Welle about the SatisFactory project and its applications and explained how they can facilitate collaboration and communication among employees in the working environment of a factory: “AR glasses ease the communication among the employees inside a factory, especially when a problem is detected in a distant area.  Moreover, the available multimedia tools provide the employees with a continuously updated user manual”. But do such advanced technologies lead to job losses? “ On the contrary! The use of such technologies creates new jobs in new fields and the working environment becomes more joyful and efficient due to stress reduction and fewer hours of training seminars.”, as Mr. Ioannidis explained.  Finally, Mr. Ioannidis referred to the SatisFactory spin-off that has already been established in Italy, aiming at commercially exploiting specific applications developed within the project. 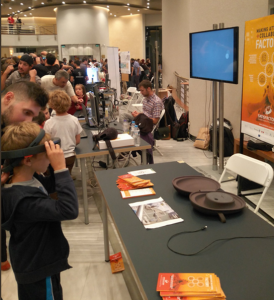 SatisFactory will be there at the Researcher’s Night 2017 in Thessaloniki! 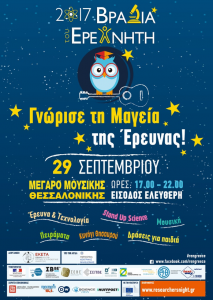 On Friday September 29th 2017, SatisFactory will be presented at the “2017 Researcher’s Night” in Thessaloniki, Greece, which will be co-organised by CERTH. The project coordinator, CERTH/ITI, will demonstrate SatisFactory achievements, and especially the on-the-job training technologies via Augmented Reality techniques, using the see-through head-mounted displays. Find more information for the event here.